© Photo : AKKUYU NÜKLEER A.Ş. The Turkish Energy Ministry's deputy undersecretary said that the first reactor of the Akkuyu nuclear power plant, to be constructed under a Russia-led project in Turkey, will start operating no later than in 2022. ANKARA (Sputnik) – The first reactor of the Akkuyu nuclear power plant, to be constructed under a Russia-led project in Turkey, will start operating no later than in 2022, the Turkish Energy Ministry's deputy undersecretary said Thursday. 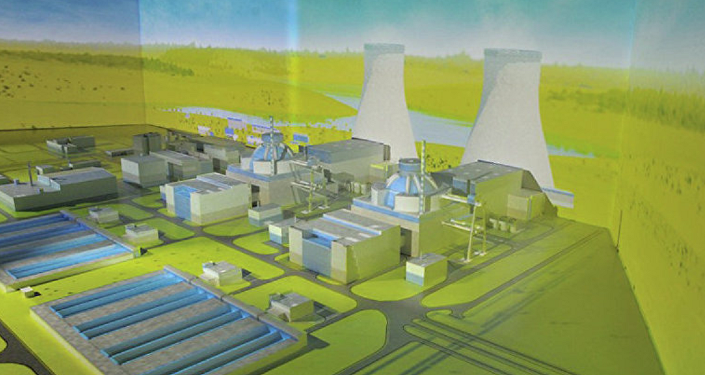 "The licensing process of Akkuyu nuclear power plant is moving forward rapidly. The first reactor will be put into operation no later than in 2022," Necati Yamac said, as cited by the Anadolu news agency. Turkey imports 72 percent of its energy sources from abroad, spending about $60 billion a year, Yamac added. According to the Turkish official, Akkuyu is being constructed in accordance with the recommendations of the International Atomic Energy Agency (IAEA). Russia and Turkey signed an agreement to construct and operate Turkey’s first nuclear power plant at the Akkuyu site in the Mersin Province in May 2010. The NPP is expected to produce about 35 billion kilowatt-hours per year.